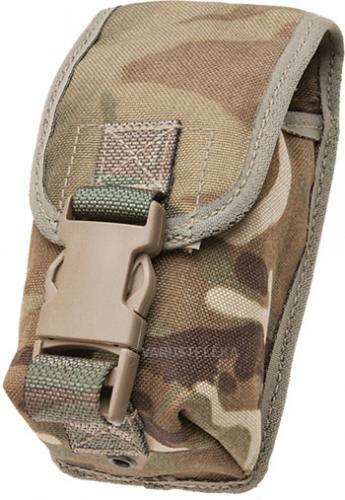 MTP camouflaged smoke greande pouch. 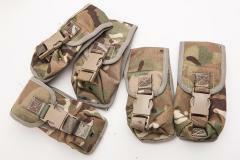 These are genuine British army kit and present an excellent value for the money. 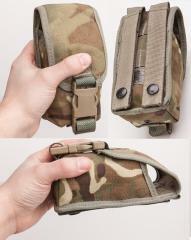 Not only suitable for smoke grenades, these might well work for other items too. Dimensions roughly 7 x 15 x 4 cm, but these live with the shape of the item inside. If not in unissued condition, then at least in very nice used shape.